What the movie is all about. The story settles on two families: the Perron and the Warren families. Each family was living in a very distinct lifestyle, really different and so apart from the course of one family from the other. The Warrens are more specific about paranormal issues while the Perrons are living a simple and happy life with five children. It started when the latter moved into a farmhouse filled with demonic presence from the house’s residences’ histories. These ghosts haunted not just the house but the bond of the family as well. The Perrons called for help and the Warren couple was ready to offer their service. Eventually the ghosts also intervened with the paranormal hunters and both the families were jeopardized by the consistent attacks of the entities. How was the movie after I watched it? It was indeed creepy. However, it was not just the creepiness that brought goose bumps at the back of my neck but also the dramatic plot behind the wild ghosts. I wasn’t expecting to be so afraid even before hearing the same feedbacks from my friends but I was judging it too early then. The Conjuring is the scariest movie of all time, not just for this year. Its scenes aren’t the only reasons for making this at the top of the list but also to the great acting of the artists involved. They really performed it well plus the excellent plot that really suited the mode from start to end. I also loved the way the apparitions were portrayed since it was a hundred percent scary-to-the-bones that would make you wonder what is the cast pointing at and where is “that” hiding behind the dark. My favorite part (and I wasn’t expecting that such event would take place) was the exorcism of the Perron mom at the climax of the movie. I was holding my breath during the whole moment when she was possessed by an old ghost who died in that house years ago. I only noticed the numbness and the coldness of my feet when the thrilling part ended and I finally got the time to blow some air before I suffocate inside my spacious room. 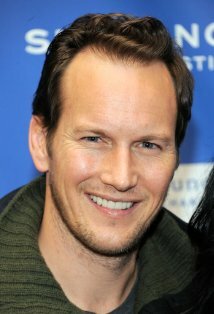 Patrick played the role of the paranormal hunter Ed Warren. He really acts in a way that will make you care for the role he is playing. He knows how to make the scene thrilling and at the same time makes himself valuable to the viewers. Even I can’t bear watching him hurt or worse. Great acting, he really fits the role he’s playing.